Staying On Track With FitBit. I have so much love for this little gadget, even if it does look like I’m on day release. I’d never of thought myself as a goal searcher, but, over recent years and more so since doing Bootcamps and going to the gym, it seems I am. I’m that person that moans when asked to do an exercise until they say stop. However, put the stopwatch in my hand, or tell me how many reps to do instead, then I’m game. I purchased my first FitBit, which was just a basic pedometer a while ago. Though I loved it and the concept, I wanted and needed something more. Hello new flashy FitBit Alta. All Day Activity Tracker – tracking steps, distance, calories burned, active minutes, hourly activity and stationary time. A Reminder To Move – a friendly reminder to move each hour. Smart Track – automatically records activity for you so you don’t have to remember to log it. Tap Display – rather than an awkward button to press. Call Text and Calendar Alerts – a brief alert. Long Battery Life – 5 days and nights charge. 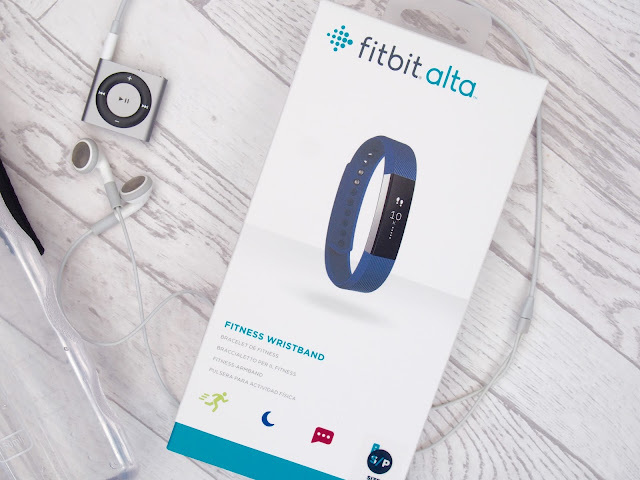 Personalisation – via different bands which can be bought from the store, you can also change the display of the tracker to horizontal or vertical. Auto Sleep Tracking – how long and how well you sleep, this can be helpful in finding a sleeping pattern. Set up of your tracker is simple by visiting the web address above and following the onscreen instructions. Then it’s just down to you to enter such things as your current body statistics: height, weight etc. Then add any goals you have, mine being a target weight. Download the app to your phone to allow access to your dashboard to log food and activities and you’re good to go! Step graph – to see your daily steps throughout the day. Friends you’re connected with – keep the competition spirit alive. Sleep stats from the previous night. mine shows lbs to loose to reach my overall target. The highest number of steps I’ve achieved in a day. How many calories I have left to eat today. Calories eaten verses calories burned – showing whether you’re in the correct range to be burning and losing. Logged water I’ve drank in relation to the set goal. And lastly a chart of the week and the amount of steps I’ve done per day. Labelled ‘log’, this tab takes you to a separate page which allows you to log your food and activities on particular days. It’s a great feature that you’re able to alternate between days, as sometimes i don’t get chance to update my diary that day. Another great feature is that it logs your most commonly used foods/drinks to the right, so they;re easily accessed to add. 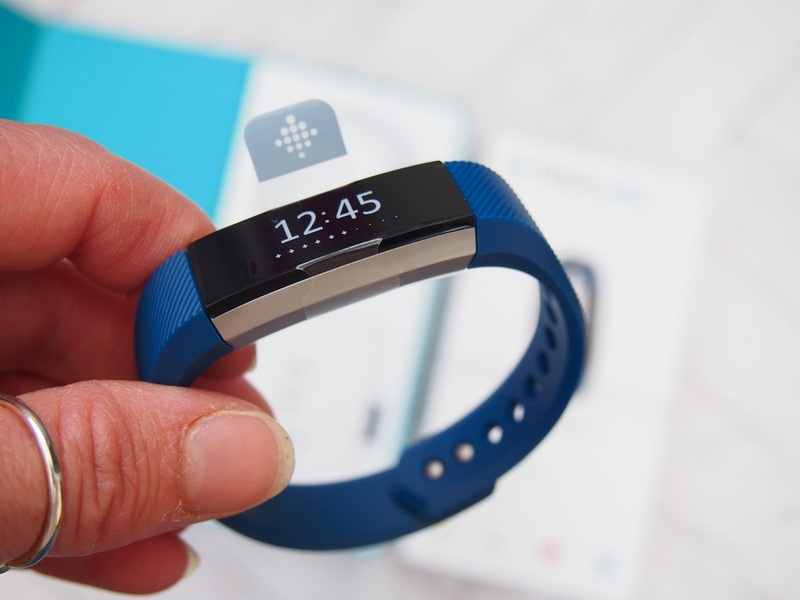 Beyond using your tracker, the FitBit site is a a haven of all things fitness. It’s a one-stop-shop if you will. 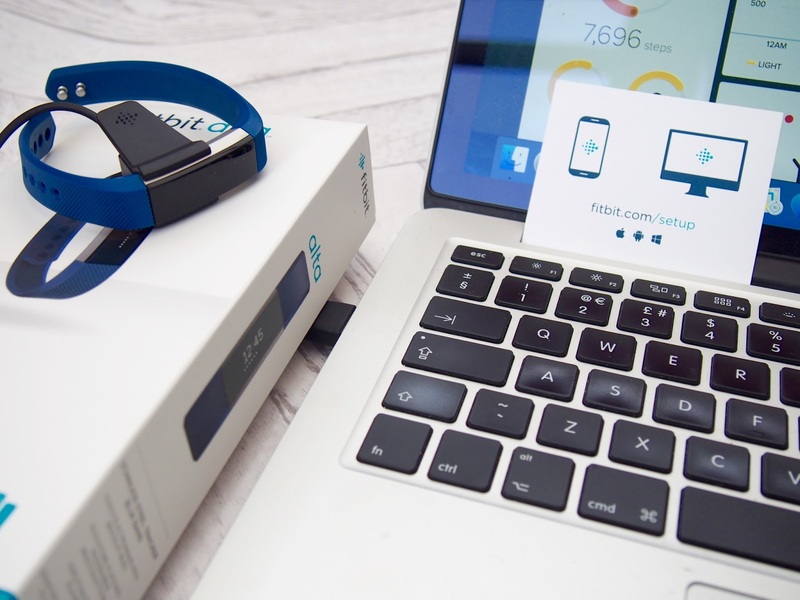 Beyond being able to buy a tracker plus accessories for the trackers and of course your dashboard, you can also sign up to their online community, which is a forum where you can post questions you may have on your tracker or even your fitness and health. 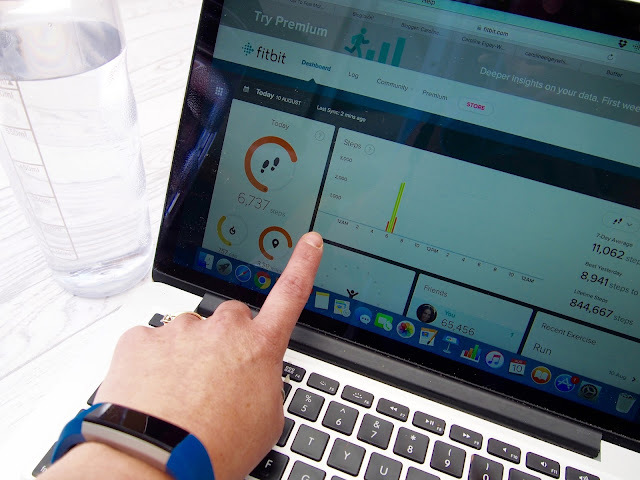 On top of that, the FitBit site also offers a personal training option called FitStar for an extra cost. This is a personalised training programme that allows you to access tailored exercise sessions on your phone, tablet or computer, so there’s no excuses! I am 100% over the moon with my FitBit. What you got one? Have you been thinking about getting one? Let me know and do let me know your username if you want to add each other as friends for a bit of extra support. I got hubby a Fitbit last christmas and he loves it. I'd love to get into fitness and then perhaps invest in one myself, but I've got to find some motivation first, ha ha!! !